What is your favorite element to fight with? What attribute matters the most to you, second from power? What type of name would you give your evolution? Which would you help train your evolution? Would you pamper your evolution? Where would your Pokemon sleep? Your pokemon is in trouble! How do you reprimand him/her? I don't punish my Pokemon! Your Eevee is ready to evolve! What's your gut telling you to evolve it into? Jolteon is the coolest looking of the evolutions. Spikey and intense, Jolteon will be your most dynamic looking Pokemon. He also has a variety of attacks so feel free to use him instead of that overrated Pikachu. An unusual choice but not at bad one. This evolution of Eevee can hold its own in combat. But it's certainly not the toughest of the evolutions so be sure to pamper it! Psychic and slinky this Pokemon isn't for everyone, but you two will get along great! They were really scrapping the bottom of the barrel with this little guy weren't they? If you need a grass type than Leafeon is your Pokemon! Just make sure to feed him with plenty of sunlight and mulch (I guess)! The most feminine evolution out there, Sylveon is whimsically delicate. 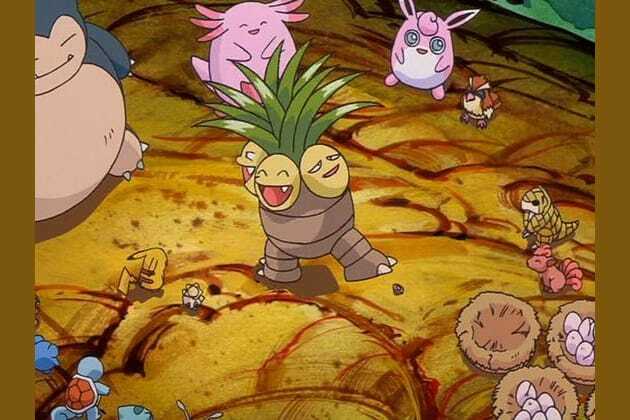 Not all of your Pokemon have to be intimidating. Feel free to fight with Sylveon or take her to a nice tea party. She's more of a lover than a fighter anyways.